EQUITY is one of the TOP-10 leading law firms in Ukraine which advises clients (the largest local and international companies) in the core practice areas. Established in 2002, the firm enjoys a reputation of professional legal practitioners possessing the most challenging legal experience and deep specialization in the fields of Litigation, White-Collar Crimes, Debt Restructuring (Bankruptcy), Banking and Finance, Tax Law & Tax Disputes, Corporate and M&A. EQUITY law firm team consists of more than 45 lawyers, including eight partners. Many of them have been working in company for over 12 years. EQUITY Lawyers conduct comprehensive support of clients projects: from the moment of receiving the task to full implementation of the solutions for the benefit of the client. In 2018 EQUITY firmly established itself as a leading law firm in such practice areas as Litigation, White-Collar Crimes and Bankruptcy. In particular, EQUITY has become the holder of a prestigious Legal Award — “Best Law Firm 2018 in Litigation”, “Best Law Firm 2018 in White-Collar Crimes/Anticorruption”, “Best Law Firm 2017 in Bankruptcy and Restructuring” and “Best Law Firm 2017 in Business Protection”. EQUITY was included to the TOP-10 leading law firms in Ukraine in 2017 according to the results of annual research “TOP-50 leading Ukrainian law firms”. 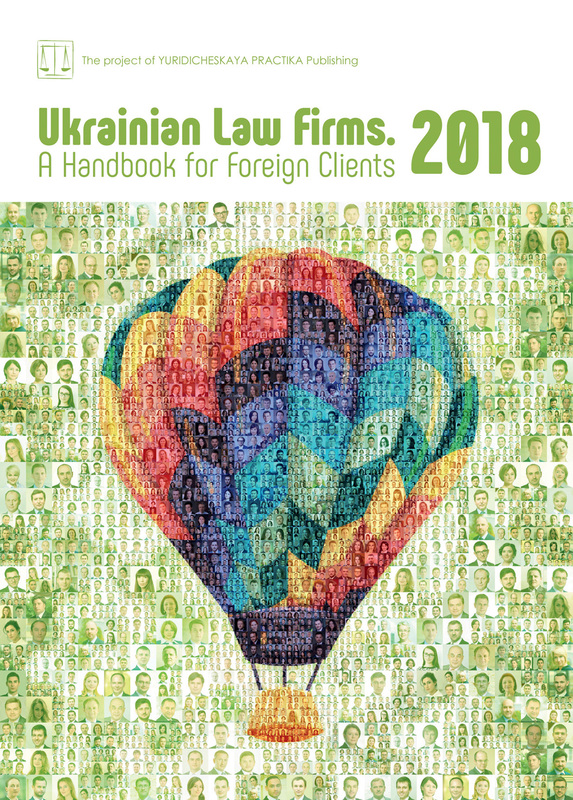 EQUITY was recommended as one of the leading Ukrainian firms in Dispute Resolution, Banking & Finance, Tax, Real Estate by Legal 500 EMEA 2018 and was recognized in Litigation and Bankruptcy by Chambers Europe 2018 and in Banking and Finance by IFLR 1000 2018. Among firm’s clients are such leading companies: Azovmash Corp., Prizma Beta LLC, The Ukrainian Sea Ports Authority, Agroholding “Creative”, Corporate non-governmental pension fund of National Bank of Ukraine, Invest Ukraine, Dilays LLC, Estet Prime Bud LLC. And well-known politicians, civil servants, business representatives and public figures: Roman Nasirov, Gennadiy Trukhanov, Oleksandr Yefremov, Natalya Ignatchenko and Oleksiy Podolsky (Gongadze case (Pukach-Podolsky)). EQUITY is one of the TOP-10 leading law firms in Ukraine which advises clients (the largest local and international companies) in the core practice areas. Established in 2002, the firm enjoys the reputation of professional legal practitioners possessing the most challenging legal experience and a deep specialization in the fields of Litigation, White-Collar Crimes, Debt Restructuring (Bankruptcy), Banking and Finance, Tax Law & Tax Disputes, Corporate and M&A. EQUITY law firm team consists of more than 45 lawyers, including eight partners. Many of them have been working in our company for over 12 years. EQUITY Lawyers conduct comprehensive support of client projects: from the moment of receiving the task to full implementation of the solutions in favor of the client. In 2018 EQUITY firmly established itself as a leading law firm in such practice areas as Litigation, White-Collar Crimes and Bankruptcy. In particular, EQUITY has become the holder of a prestigious Legal Awards — “Best Law Firm 2018 in Litigation”, “Best Law Firm 2018 in White-Collar Crimes/Anti-corruption”, “Best Law Firm 2017 in Bankruptcy and Restructuring” and “Best Law Firm 2017 in Business Protection”. EQUITY was included to the TOP-10 leading law firms in Ukraine in 2017 according to the results of annual research TOP-50 Leading Law Firms in Ukraine. EQUITY was recommended as one of the leading Ukrainian firms in Dispute Resolution, Banking & Finance, Tax, Real Estate by Legal 500 EMEA 2018 and was recognized in Litigation and Bankruptcy by Chambers Europe 2018 and in Banking and Finance by IFLR 1000 2018. Among the firm’s clients are such leading companies: Azovmash Corp., Arterium Corp., Ferrexpo AG, NEST Corp., AIS Group, Concorde Capital, AutoKraz, Ukrainian Business Group, SOTA Cinema Group, Helen Marlen Group, National Bank of Ukraine, Vernum Bank, MistoBank, Deposit Guarantee Fund, Auto-Aktiv Infiniti, Brokbusiness, Furshet, etc. Public procurement is an area where the state of Ukraine acts not only as the regulator of internal economic relations but also as its direct participant. The openness of the domestic market to foreign imports caused by WTO membership and the obligations of Ukraine under the Association Agreement with the EU, as well as other substantial political factors, makes this sphere a special focus for foreign producers and investors. In this regard, one of the most important achievements of public procurement reforms was the creation of a unified electronic system called ProZorro, which has significantly increased the transparency of the selection of a successful tenderer. Moreover, ProZorro has received the international Public Sector Procurement Award for the creation and implementation of an electronic system with a unique architecture. The development of this system on the basis of open source software was implemented in partnership between Government, business and the community and was administered by the anti-corruption organization Transparency International Ukraine. However, although the use of electronic tools in public procurement has increased transparency and made it easier for small and medium-sized enterprises to participate in public tenders, the number of legal challenges to procurement decisions is on the rise. One reason for this is that public procurement is, and has always been, a lucrative market where competition for Government contracts is fierce. Unsuccessful tenderers who feel aggrieved by the outcome of the tendering process increasingly challenge procurement decisions by bringing actions in the courts against contracting authorities and (or) organizers of procurement procedures. The most common grounds for such actions are the rejection of a tender due to its non-compliance with the requirements of law or tender documents and the tenderer’s non-compliance with the qualification criteria. See, for example, the Decision of the Higher Commercial Court of Ukraine in case No. 913/1349/16 of 8 November, 2017. Consequently, the most prevalent remedies sought by unsuccessful tenderers include a declaration of invalidity of the decisions to reject the tender and to determine the successful tenderer, a declaration of invalidity of the results of the tender procedure and of the contract awarded, an order to suspend the procurement procedure by blocking any actions in the e-procurement system and a declaration of invalidity of procurement contracts. Another reason why unsuccessful tenderers resort to litigation is the pursuit of an injunction. Given that the procurement procedure is limited in time, an injunction can in such cases be decisive. This is what happened in case No.910/9053/16 arising from the award by a branch of PJSC Ukrzaliznytsia of a contract for the supply of fuel and lubricants with a value exceeding UAH 162 million. By its Order of 23 May, 2016, the Kyiv City Commercial Court granted a motion for an injunction filed by one of the tenderers. The issued injunction blocked the supply of lubricants and put the entire railway industry at risk of being unable to provide transportation, including to the ATO zone. When the Order was set aside by the Higher Commercial Court, the Claimant discontinued its claim indicating that it was primarily interested in obtaining an injunction. Hopefully, with the coming into force on 15 December, 2017 of the new procedural codes that give wide judicial discretion regarding the use of counter-injunction, we will see a significant reduction in the number of such lawsuits. In accordance with the general rule stipulated in Article 36 of the Law of Ukraine On Public Procurement, the terms and conditions of the procurement contract must not deviate from the content of the tender submitted as a result of the auction by the successful tenderer (including in terms of the price for an item of the goods) or the price offered by the tenderer in the case of a negotiated procedure. It is noteworthy, however, that the same article establishes an exhaustive list of cases when the essential terms and conditions of the procurement contract may be modified, including cases when the price for goods can be raised. So as to provide clear guidelines on the application of this provision, the Ministry of Economic Development and Trade of Ukraine issued clarifications of 27 October, 2016 No.3302-06/34307-06, regarding change in the essential terms of the procurement contract, which are actively applied by courts of all instances in the consideration of procurement disputes. However, neither the award of the procurement contract nor the proper performance of obligations guarantees that the contractor will in fact be paid the amounts due under the contract. In some cases, for example, the procurement contracts concluded between state-owned enterprises and economic operators contained clauses under which the obligation of the contracting authority to pay for the works performed was either subject to or delayed until the receipt of budget funds. For a certain period of time the courts supported the position of state-owned contracting authorities: a lack of budget funds means no obligation to pay, citing Part 1 of Article 212 of the Civil Code of Ukraine which provides for the right of contracting parties to make the acquisition of the rights and assumption of obligations conditional upon the occurrence of a specified but uncertain event (suspensive condition). Fortunately, however, in recent decisions the courts have upheld another, more equitable, position. For example, the Higher Commercial Court of Ukraine, in the vast majority of cases, noted that such conditions are not to be regarded as a suspensive condition. For instance, in Resolution of the HCCU of 5 November, 2013 in case No. 910/9276/13, the court stated that suspensive condition is an event which is not certain to occur. Thus, the condition of Contract No.26 of 26 July, 2010 that made the payment for the works performed by the Claimant conditional on the Defendant’s account get credited with funds does not meet the criterion of uncertainty of an event. The parties, when entering into the contract that contained this condition, expected the contracting authority to properly perform its obligation and pay for the works it accepted. Consequently, such a condition is not suspensive in the meaning of Article 212 of the Civil Code of Ukraine and, therefore, payments for works performed had to be made by Defendant-1 in accordance with the rules of Part 2 of Article 530 of the Civil Code of Ukraine. That is, within seven days of the date of parties signing the certificate of acceptance of works (Resolution of the HCCU of 7 July, 2015 in case No. 910/19256/14). Thus, the condition that makes the payment for the services/goods subject to the receipt of budget funds is not suspensive in the sense of Article 212 of the Civil Code of Ukraine and well-established practice of the HCCU. In addition, as confirmed by the case law of the HCCU, ECHR, SCU (now SC), the state’s lack of funds, the lack of budgetary allocations, etc. cannot be regarded as sufficient grounds for non-execution of court decisions or non-performance of obligations under the contracts. Although the state guarantees the execution of court decisions ordering the collection of funds and requiring the performance of certain actions with regard to property, our practical experience shows that when it comes to a state-owned contracting authority financed from the state budget, even the existence of a court decision ordering the collection of funds does not guarantee that the payment will, in fact, be made. Occasionally persons apply to administrative courts seeking declaration of omissions by the State Treasury of Ukraine and an order to transfer the funds awarded under a court order. Resolution of the Plenum On Generalization of the Practice of Resolving Administrative Disputes that Arise in Connection with the Execution of Court Decisions Ordering the Collection of Funds Owed by a State Body or Institution of 29 September, 2016 No. 13 expressly states that the vast majority of such decisions are either not executed at all or are executed late. This situation gives rise to new lawsuits brought against the bodies of the State Treasury. However, taking into account that the amounts of compensation provided under KPKV 3504040 “Execution of court decisions guaranteed by the state” are very small (for 2018 — UAH 500,000. ), even if a court issues the decision ordering the State Treasury of Ukraine to pay, it will be difficult to have those decisions implemented and to eventually get the funds. le 19 of the Law On the State Budget of Ukraine for 2018) under court decisions, the execution of which is guaranteed by the state, as well as under the judgements of the European Court of Human Rights delivered in cases brought against Ukraine, by issuing financial treasury bills with a maturity of up to seven years. The treasury bills provide for the settlement of the debt within the term specified (up to 7 years) in equal installments for each year, with the repayment of the debt deferred for one year and an interest rate of 9.3% per annum. Since treasury bill payments are to be made in accordance with the target program “measures to execute court decisions guaranteed by the state”, under which the total amount to be spent in 2018 is set at just UAH 500,000, creditors are unlikely to be able to use such bills for the intended purpose. However, these treasury bills can be used to repay loans (subject to the consent of creditors), to carry out payment transactions in banks, to secure the performance of obligations, and to engage in other lawful activities.